Space BD Inc, a space start-up company based in Japan, today announced that it has signed a distribution agreement with Innovative Solutions In Space n.v., to be the distributor of the Dutch company’s small satellite solutions and components for the Japanese market. 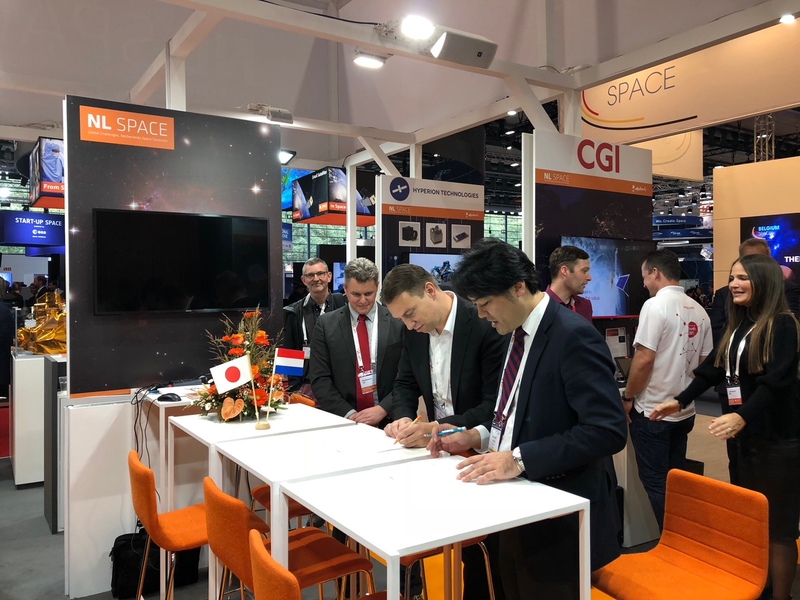 The agreement was signed on the occasion of the Netherlands-Japan Space Industry Event at the 69th International Astronautical Congress (IAC) in order to confirm the intention of the two parties to build up long-term strategic relationship and to combine efforts to cultivate opportunities of mutual benefits. The two parties agreed to demonstrate synergies in terms of their capabilities and geographical domains to maximize the value-proposition to their customers, and contribute to further development of commercial Low-Earth Orbit (LEO) and nanosatellite market. The distribution agreement is the first step of the relationship, and in the future, it may be expanded with additional products and services towards building a more holistic, strategic partnership between the two companies. The agreement comes in the spirit of Netherlands-Japan partnership. 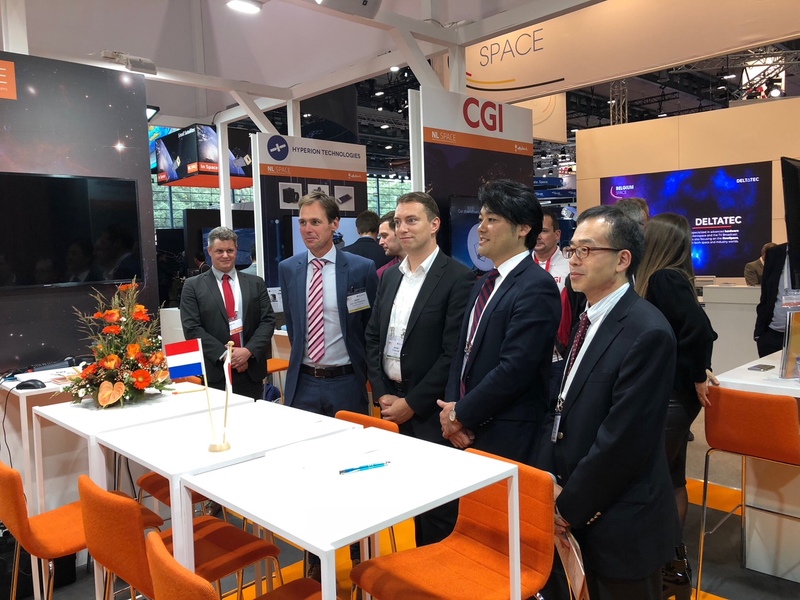 The Netherlands Space Office (NSO) and Japan Aerospace Exploration Agency (JAXA) are cooperating in industrial promotion and have coordinated a business matching event for both industries during the 69th International Astronautical Congress (IAC). Space BD is a space start-up company headquartered in Tokyo. The company offers import/export support and procurement management of space hardware and components, and development and management of international and domestic space projects. Furthermore, Space BD offers one-stop launch campaign management, and in May 2018, it was awarded the contract from JAXA to be the commercial operator of the small satellite deployment service from the Japanese Experimental Module “Kibo” onboard the International Space Station. ISIS – Innovative Solutions In Space B.V. is one of the leading companies in the fast-growing small satellite market. The company, based in the Netherlands, is vertically integrated and combines research and development, testing, launch services, and operation of small space systems in a single organization. This allows ISIS to provide the right solution for every customer, from subsystems to full turn-key missions and custom solutions.